The northwestern part of Suez Gulf region is a strategic area in Egypt. It includes important sources of national income. To achieve the development goals, the government has established huge projects in this area (e.g. establishment and expanding of a large commercial port at Ain Sokhna, many industrial zones as well as tourism projects). The utilization of the Suez Gulf resources and their continuing development mainly depend on the creation of actual pollution control programs. The environmental quality control and pollution reduction activities are important ingredients of any economic development program. These different activities in this area depend mainly on the groundwater that is pumped intensively from different water bearing formations or aquifers. The main objective of the present work is compiling the previous studies from the 1980s up to 2015. These studies are concerned with estimating the concentrations of different pollutants in various ecosystems in the northwestern Suez Gulf region. Also, to provide an explanation for the movement of different pollutants such as organic and heavy metals from contaminated land to ground and surface (Gulf) waters. 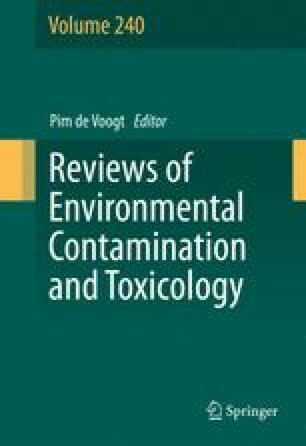 This issue has not been extensively surveyed before, and this review, gives specific directions for future monitoring and remediation strategies in this region. The online version of this chapter (doi: 10.1007/398_2016_5) contains supplementary material, which is available to authorized users.